Consider Yourself Soho Savvy? Prove it! Sponsor Consider Yourself Soho Savvy? Prove it! This is a sponsored post in partnership with Google Local. 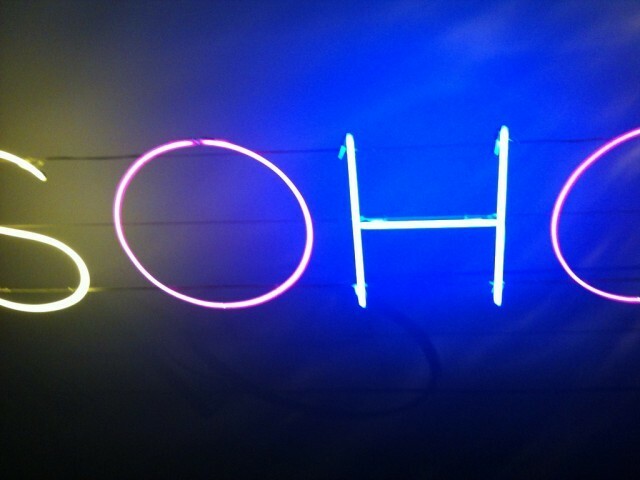 Google Local are looking to find streetwise Londoners who are in the know about Soho. So if you could recommend the best Carnaby Street boutique, point out the tastiest Chinatown restaurant, or advise on the coolest Dean Street hangout, then you could be the winner of their #SohoSavvy competition. One lucky Londonist reader will win a lifetime membership (yes, lifetime!) to the Prince Charles Cinema in Leicester Square and, as if that isn't enough, they will also receive a year's membership to the Soho bar, Milk and Honey (which also gives you access to The Player in Soho, Danger of Death in Brick Lane, The Rotary Room by Old Street, and Milk and Honey in New York). Pretty good eh? All you have to do to enter is fill in the form below and get cracking writing new reviews of your favourite Soho spots using Google Local. You can get started here. Remember, the more places you write up, the higher your chances of winning. As an extra bonus, we'll also feature the best #SohoSavvy reviews right here on Londonist when the competition ends. Happy reviewing! Competition closes on Friday 29 March at 5pm. The winner will be the one who has submitted the most high quality reviews in the competition period. In the event of a tie, Google Local will ask Londonist to adjudicate! For more information about Google Local visit www.plus.google.com/local and follow @GoogleLocalLDN on Twitter.